I just returned home from the American Library Association's conference. The Poetry Blast featuring a number of remarkable children's poets was a highlight for me. Alma Flo Ada shared her latest poetry from her free verse fictional narrative Yes! We are Latinos! In the summer, I enjoy the tiger lilies that spring up in the ditches. Often accompanied by Queen Anne's Lace, and chicory, they dance in the breeze and nod as I drive by. The vibrant orange trumpets shoot from the slender green stems as if they want to sing. And why not sing? God created such an amazing world filled with incredible colors, shapes, and textures. Sing for the joy of summer. Sing for the beauty of the earth. Sing for Jesus love. Sing to praise the Lord! My dad worked hard to provide. We lived in a comfortable home, ate nourishing meals Mom prepared, and didn't want for anything. I know there were lean times as well as plentiful times, but I'll always remember my dad coming home after a day of work. He smelled like a mix of oil and metal with the grime and grit of a man who worked with his hands. His provision brought our family comfort and the ability to live our lives for God. Paul reminds the people in Lystra and Derbe they have a father who provides. God gives more than we imagine. He pours the rain and shines the sun. His love fills hearts with joy and peace. I've earned nothing, all I have God has given. Recently, my husband and I drove along a country road as the sun beat down. We passed by a field and he noticed cows huddled under a row of trees, along a fence. God gave them a bit of shade in the midst of the heat. He's a generous father to all of his creation. Praise the Lord for his giving spirit and provision. Young women long for relational connection. Yet, without realizing it, more mature Christian women often distance themselves from the younger generation because they use different language to talk about God or have different views on church and theology. In A Friend in Me, Pam Lau shows readers how to be a safe place for the younger women in their lives. 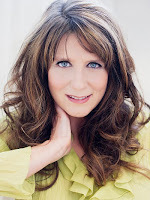 She offers five patterns women need to internalize and practice for initiating relationships and talking about issues such as faith, sexuality, and vocation. Most significantly, she reminds readers that when generations get together, they can have a global impact— and experience a deeper personal faith than they’ve ever known. Pam Lau shares hauntingly beautiful stories of sorrow as she fiercely questions the global impact women’s relationships can make when we pattern our lives after Jesus’ example. 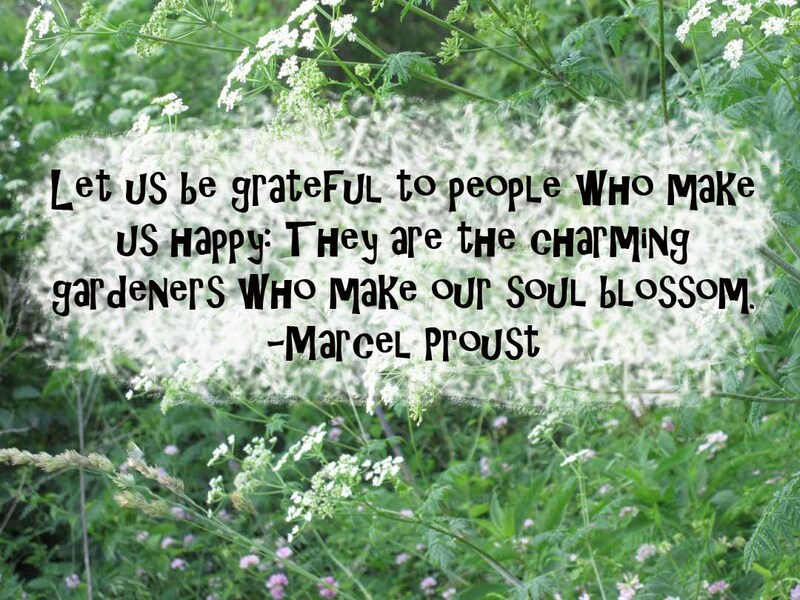 A Friend in Me leaves the reader free to love and serve the women closest to them. A Friend in Me is filled with heart-changing advice every woman should read. So many of us are so busy with day to day life, we forget to seek out help from women who have experienced life. On the other hand so many young ladies aren't sure who to turn to. 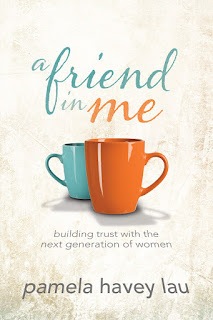 This book is essential for women who follow Christ and wish to make a difference. I love the five patterns Pamela points out to encourage women to be a more Christ-like influence on one another. She digs into each one with great examples of women she's mentored or ladies who mentored her. She even delves into areas that are hard to talk about, in a way that brings to light the great need for woman to woman conversations. This is not a work book. It's a heart book that can make a difference to the reader and anyone the reader encounters. 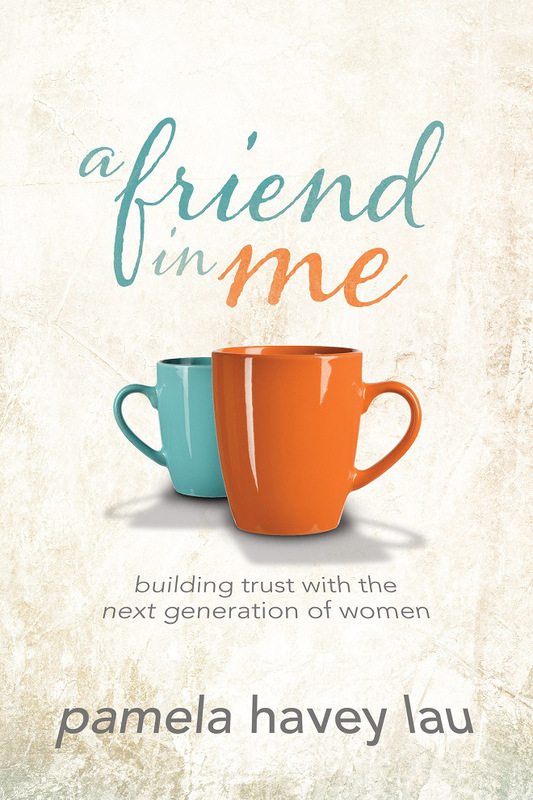 I recommend A Friend in Me for a women's Bible study group because it would open faith building conversations. Disclaimer: I received a free copy of A Friend in Me in exchange for an honest review. 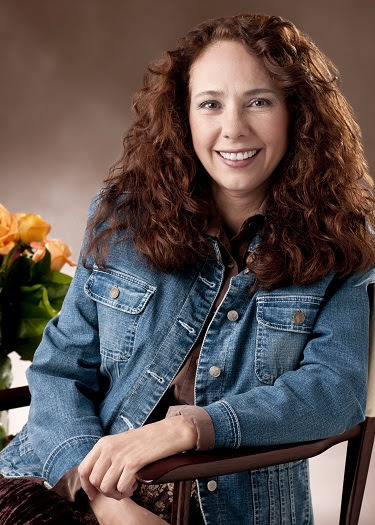 Pamela Havey Lau is the author of A Friend in Me, Soul Strength, and numerous articles for such publications as Christian Scholar’s Review and Christianity Today. A graduate of Liberty University and Colorado State University, she has taught writing at George Fox University and speaks around the country at conferences and retreats. After her three daughters were born, she began teaching writing at private day schools until 2010 when she started her own business, Real Life Real Image, where she writes, edits and speaks. Pam is married to Dr. Brad Lau, a college administrator. The two make their home near Portland, OR with their three daughters. A dying wish alters the course of a young woman's life. Life hadn't been easy for Summer Snow. 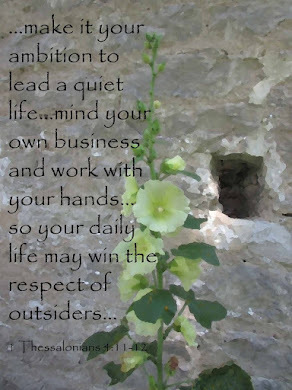 In acts of selflessness---caring for her ailing parents and running her grandmother's bookstore---she had forfeited her youth and dreams for the needs of others. And the only tries she had at love . . . didn't turn out. She had the bookstore, she had her beloved granny, but she was missing something---or someone. Every book I've read by Anita Higman is like an enchanting holiday away from the chaos of life. I love her ability to write beautiful stories in modern day settings that read like fairy tales. 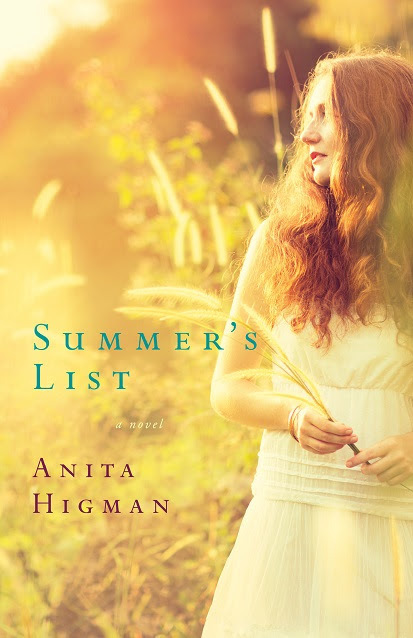 Summer's List is a delightful story of friendship and love. I once read a quote, "Let's put the fun back in dysfunctional." Summer and Martin experience the fall-out of a family hurt by circumstance, but believe faith can make a difference. As always, Anita's characters come to life on the page and find their way into the heart. I especially liked Summer's grandmother and strive to have the insight and faith she showed her granddaughter. Summer's List is a charming tale and excellent choice for a summer read. Disclaimer: I received Summer's List in exchange for an honest review. On Thursday, I spent the day with colleagues in the beautiful surroundings of the local nature center. We met for a day of learning and team building about the nature of character. Our speaker expounded on the forty-nine character traits important to being a good person. I'm guessing I could find them all in the Bible. Sure enough the very first one-alertness is mentioned several times. Alertness-- "being aware of what is taking place around me so I can have the right responses." Peter warned the elders to be alert. Pay attention. The devil is lurking. That's what he does. He hangs out until he can find a foothold, a thin area to poke and prod. Peter's advice, stay in tune with what's happening. Be alert! Then stand firm in faith and resist. Send up a prayer and engage the Holy Spirit to overcome temptation. Know that we're not alone and pray for one another. God has our backs. Peter Ryan wakes up on a typical morning only to find his house empty, his wife and daughter nowhere to be found. His world is shattered after a phone call to a friend confirms the impossible: his wife and daughter died in a car accident he does not remember. Haunted by faint memories and flashes of details, Peter becomes convinced that something isn’t right and begins to question reality. When he discovers a note in his daughter’s handwriting, strange memories begin to surface that cause him to second-guess nearly everything he once believed. Suddenly armed men show up at Peter’s home, turning the mysterious puzzle of his past into a dangerous game of cat and mouse. On the run and unsure whom to trust, Peter has to discover what’s real and what isn’t . . . before he loses everything. Centralia is one of those books I wanted to read in one sitting. The fast-paced, pull-me-through the pages of this psychological thriller kept me wanting more. I rooted for Ryan and couldn't wait to find out what happened, then wanted to read more when I finished. Dellosso knows how to write a story and weave in elements of faith. 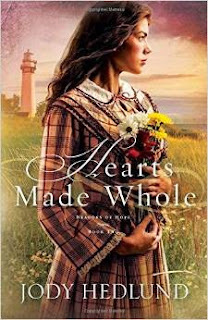 I loved how he sewed God into the fabric of the story and showed the reader what faith can do. 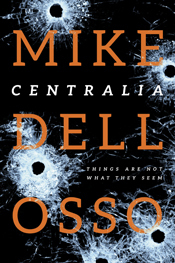 If you enjoy Ted Dekker or Frank Peretti you'll love Mike Dellosso. Warning: There is violence throughout the story.